The first full-featured PDF solution accessible on desktop and from the cloud. Use your features on the go, on any connected device. IT managers, we've got you covered. You can kiss deployment headaches goodbye. A fully integrated e-signature solution. Running after contracts is a thing of the past with Soda PDF’s fully integrated e-signature solution. Soda PDF now supports PDF 2.0 - the newest and most advanced version of PDF. Save your PDF files in 2.0 format to experience better security, accessibility, and an overall improved PDF experience. Soda PDF Anywhere has all the features you can expect from a full PDF solution, and more. PDF goes mobile: cloud or local, why choose? Get access to both and work on the go. Your documents are safe with Soda. Whiteout, redaction, password encryption, digital certificates - what more can you ask for? Instantly launch Soda PDF and batch process your main PDF tasks by creating and converting multiple PDFs at once and using batch OCR. No more printing contracts and running after signatures. Soda E-Sign is seamlessly integrated within Soda PDF, allowing you to prepare, send and track your documents all in one place. You can even send reminders directly through the application and set expiry dates to get your contracts signed on time, every time. headaches out of the whole deployment process, and we offer assistance if you need it. Volume discounts starting at just 5 licenses, with options for plans or a perpetual license. 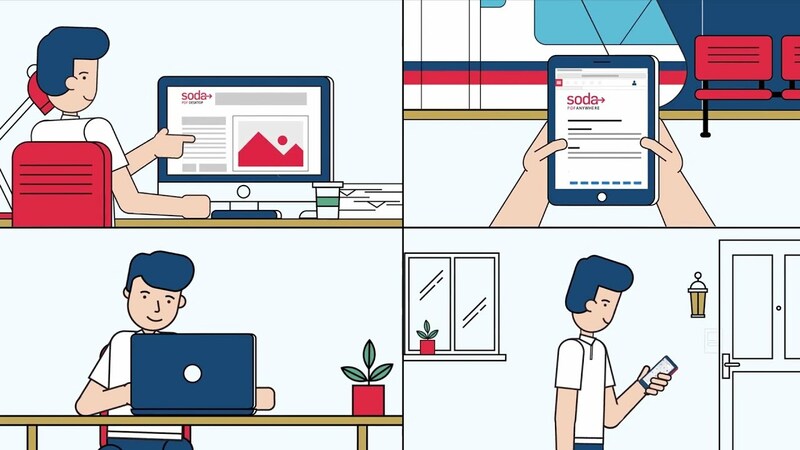 Soda PDF helps you decode modern document management and simplifies PDF and e-signature tasks so you can focus on growing your business. white papers, sell sheets, blog posts, tutorial videos, and webinars. We have trusted partners in 10 countries that sell Soda PDF, and they can help you purchase and deploy Soda PDF as well as offer support. Commissions ranging from 10-25%, dedicated support for sales, and additional incentives.